Although most people are familiar with the mainline Assassin’s Creed games such as Black Flag and Assassin’s Creed Syndicate, there have been quite a few Assassin’s Creed games released for mobiles as well. Actually, Ubisoft has released more of the latter than of the former, including good mobile releases like Assassin’s Creed Identity and not so great ones like 2008’s Altair Chronicles. And now Ubisoft has announced that a new game for mobile platforms is coming our way soon. This new game is called Assassin’s Creed Rebellion, and will be released on iOS and Android platforms in the near future. The game is being developed by Behaviour Interactive, a Canadian outfit which is behind other games like Wipeout 3 and the Pacific Rim mobile game, and also worked on the likes of Fallout Shelter. Actually, judging by what we’ve seen of the game so far, Assassin’s Creed Rebellion does appear to be quite similar to Bethesda’s 2015 mobile game, as it has role-playing elements and base-building too. Here you take control of several Assassins including Aguilar from the Assassin’s Creed movie and Shao Jun from Assassin’s Creed Chronicles: China, as well as others like fan-favourite Ezio and his sister Claudia. 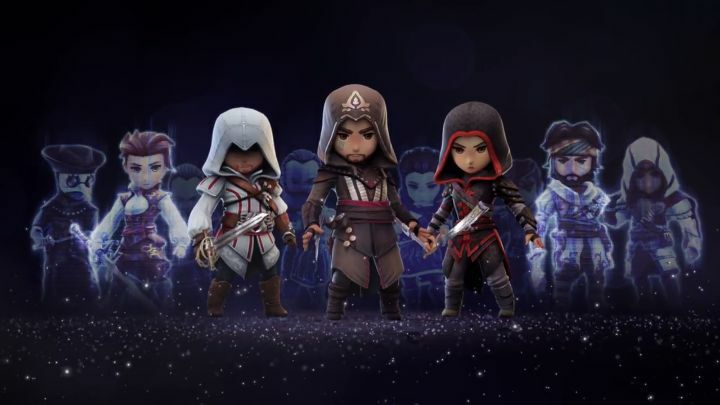 You can level up their abilities by sending them on missions too, but it’s clear that developing your Assassin fortress will be one of the key features in this new mobile game by Ubisoft. This involves adding new rooms and additional gear to your base, amongst other things. It remains to be seen, though, whether this upcoming Assassin’s Creed mobile game will be as worthwhile as earlier games like Assassin’s Creed Identity were, or whether it will turn out to be a disappointing affair like past releases such as Assassin’s Creed: Altair’s Chronicles have been. But here’s hoping that Ubisoft gets this Assassin’s Creed mobile entry right, and that we will be enjoying another Assassin’s Creed game on our mobiles when Rebellion is released sometime in the future.